Transparent prices, no extra fees! Get all the power of geolocation in your WordPress site by choosing a plan below. What is a Request ? You can think this like a page view. So every time a user visits a page of your website that it's using any geolocation functionality a request is made to our server with the user's IP. Then we return the user geographical info which is used by the plugins. Requests can be used on unlimited sites. Oh wait, so I will pay for every page view ? No at all, and that's the main difference between us and our competitors. Just pages where you are using geotargeting will need to consume a Request. As an addition Our plugins have a cache mode available to let you save queries and resources. So once a user visits the site we cache their location info into the session and the consequent page views don't need to perform calls to the API. You can read more about it on the GeotargetingWP configuration page. Also we to our best to prevent bots and crawlers to consume requests. What is a local database? Depending on your plan you will be able to use one or more third party local geo ip databases such as Maxmind databases, Ip2Location databases, Kinsta Services or Wp Engine Services. Check the geo local databases page for more info. What happens when the monthly quota is exceeded? 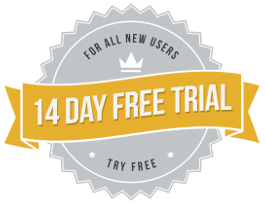 We offer 14 days of free trials with unlimited requests so you can test the best plan for you. If you don't like the plugin simple cancel your subscription before trial ends. Can I use the plugins on many websites? When using requests to contact our API you can use the plugins on unlimited sites. If you are using local databases check your plan to see how many sites are avaiable. Do I get alerted when I'm about to reach my quota? You will get an email when your quota is reaching the 40%, 25% and 10% of the total. Also we will give you 3 days of grace period if the quota exceeded in case you got caught in the weekend. Yes, get in touch with us for custom larger plans.